This week I’m participating in Knitting and Crochet blog week hosted by Eskimimi makes. Every day there’s a different topic to prompt creative and inventive ways to enjoy writing fresh content for Knitting And Crochet Blogs. Todays topic – Write a dating profile for one of your past finished projects. Hi I’m as yet unnamed Port Adelaide beanie. Fun loving Port Adelaide supporter, seeks other Teal & Black handknits for football watching funtimes. I only came off the needles in March 2014, but already I’ve seen Port Adelaide beat two difficult teams, one which they haven’t beaten for 7 years so I think I must be good luck. Teal, Silver & Black are my colours and I wear them proudly. The topographie pattern really shows them off. It looks much better than the blue, yellow & red of my cross town rivals. Most of my time is spent football watching. 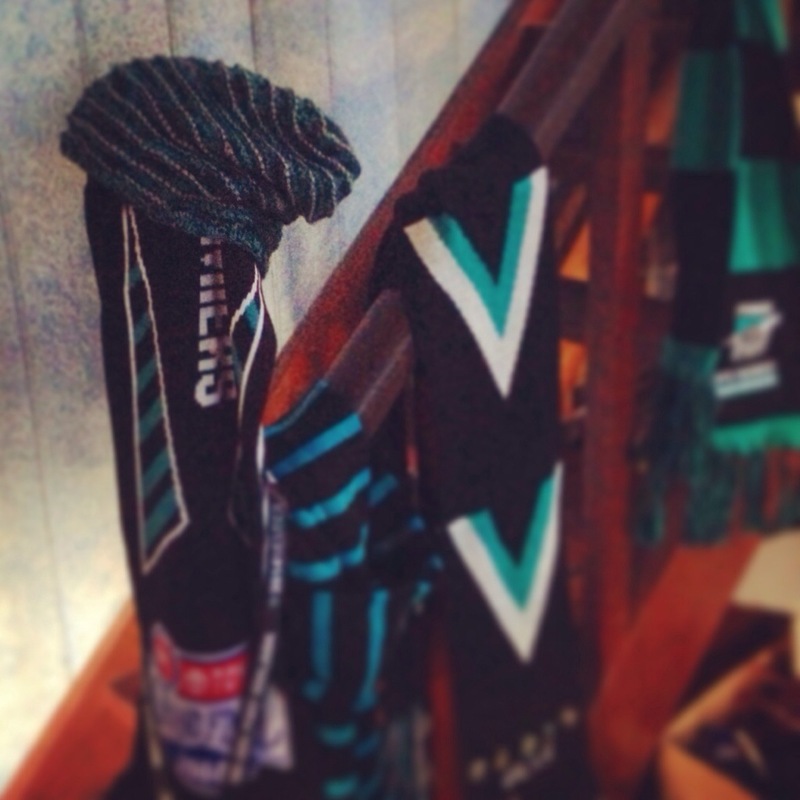 I tend to be worn more often when Port Adelaide win, which this year has been quite a lot. My biggest ambition is to attend a Port Adelaide Grand Final. That would be amazing and the highlight of my career. A real and blue handknit sounds so fun and stylish. I’m sure it will have no trouble finding a mate. “Next class we will begin learning about Impressionism.